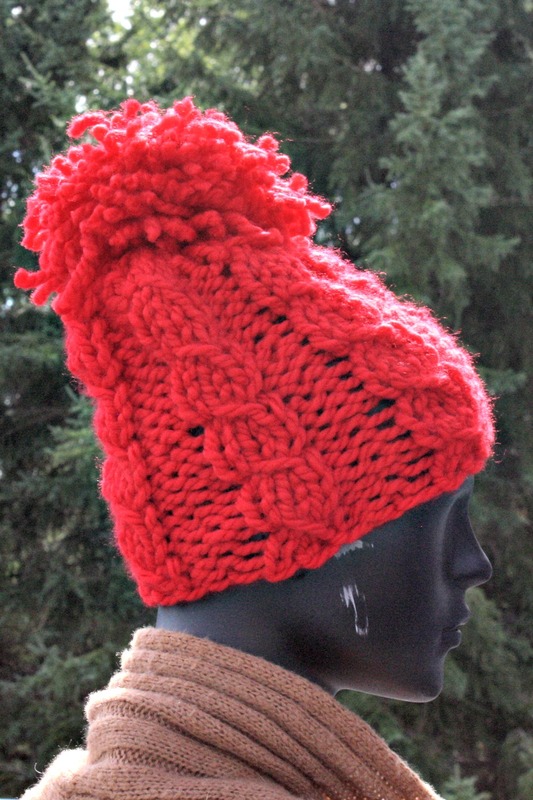 There is nothing like a handmade, knit hat as a gift for Christmas, or as a gift to yourself! 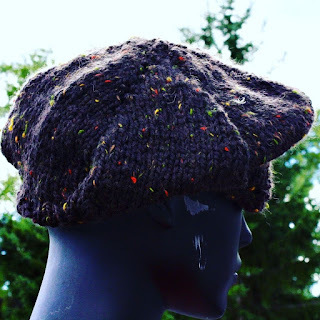 Evelyne Nemcsok has written the most precious ebook on knitting hats and we are so in love with it that we decided to band together and host a giveaway of the book and of a hat made by the author~ times two! That's right, we will be awarding a book and a hat to TWO winners! Learn more about Nemcsok Farms by visiting her blog here and her Etsy Shop here. We like to keep our giveaways simple. Check out how you can be entered for one of these adorable hats and the pattern book below. There are multiple ways to earn extra entries, too! I think the beret is super cute. I also like that purple one in the picture with the fluffy trim! Too bad I live in Phx, AZ where the weather isn't cold enough to wear a knit beanie. But I bet a lot of people would love these! I love number one. I love the color and the style. Very classy and would also make a great gift. That's amazing! I love knit hats they are so soft and comfortable. They're adorable as well! These woukd be great to have. These are super cute! I tried knitting once but couldn't figure out how to make more than one row! I love handmade gifts though! That would be also great for fall style! I love the scarf and the red one. Oh I love the beret! I may just have to knit myself one! What super cute hats!! I wish I could knit my own lol. I love both but I think the beret style is my favorite. Thank you for the giveaway! This is such an amazing opportunity! Thank you for the giveaway, I am in! The hats are so cute! 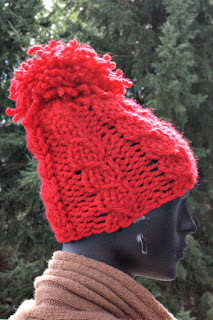 I need to get on my game for knitting hats for Christmas - maybe an easy knit hat would be the way to do it! These hats are super cute! I love both hats, but I think the red pom hat is my favorite!! I don't particularly wear hats, as they don't really suit me but I'm going to take this giveaway opportunity as I'd love to try them out again! They're really nice. Oh this book looks like a great way to use up some of my stash! 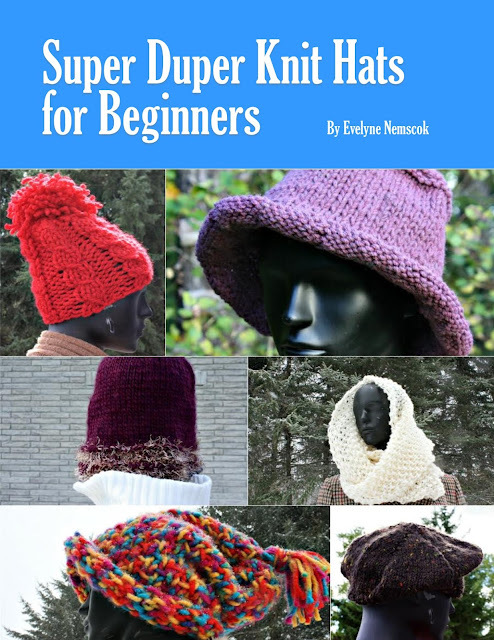 For the would be knitters in this thread - this book is well suited to beginners. All the patterns newbie friendly, and work up quickly! I am so happy that knit hats are back in style!! They are so cozy and remind me of all the hats and scarves my grandmother made for me with love. Awww. .. I love the pom hat. It makes me think of winter and snow and Christmas! Really cute! I definitely cannot knit, I've tried! I particularly like the red with the pom pom on top. All of the hats are excellent for winter!! I love a knitted beanie! I have been trying to knit my own but none of them have come out this good haha! great giveaway too! I absolutely love handmade things like hats, scarves and blankets. These are very pretty! I love the red beanie. The beret is also cute for my daughter. I would love to learn how to knit, this sounds like a great book. Ooh these hats are adorable! It's already uncomfortably cold in New York and these look like they can stand up to a New York winter. These hats are super cute. I need these for the winter because in the south it can get kind of cold! Thanks for sharing this! The red pom pom is very cute! I could already see both my girls actually trying to take it from me. These hats are so cute! I am partial to a pom at the top of my head...I feel like it adds a sense of youthfulness and whimsy! I love both of these hats, but I am partial to the pom one. I would love to have it during the very cold European winters. It would be perfect for them.